Easy to use free Step Counter-Pedometer & Calories Tracker. This Step Counter-Pedometer uses the smart-phone built-in sensor to count your every steps. No GPS tracking required, so it can greatly save smart-phone battery. It also tracks your daily, weekly, monthly and yearly burned calories, walking distance and time. Just single tap the start button and application will starts counting your steps. Whether your smart-phone is in your hand, pocket, bag or armband, application can auto-record your steps even your screen is locked. This application step counter uses the smart-phone built-in sensor to count your every steps. No GPS tracking required, so it barely consumes smart-phone battery power. All the features are FREE. No sign-in and sign-up required. We never collect your personal/private data information. You can start and pause Step Counter-Pedometer anywhere any time to save smart-phone power. The report graphs are the most advanced ever, they are specially designed for smart-phones to help you track your walking and running data. Most amazing themes are under progress. You can choose your favorite one on application screen. 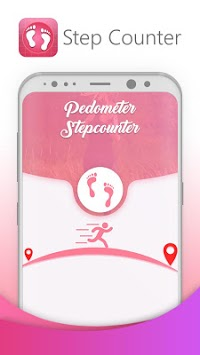 ● To certify the precision of Step Counter-Pedometer, please input your correct health information in settings, because it will be used to calculate your walking distance and calories. ● Step Counter-Pedometer is not available for devices with older versions when their screen is locked. It's not a bug. Looking for an accurate Step Counter-Pedometer? Does your pedometer use too much power? 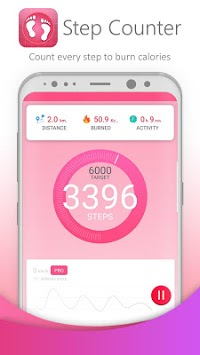 Our Step Counter-Pedometer is the most accurate in play store one you can find and is also a battery saving Step Counter-Pedometer. Looking for lose weight application and Step Counter-Pedometer? No satisfied weight loss apps? 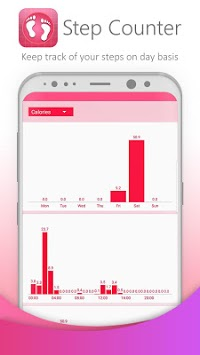 Here is the best lose weight application Step Counter-Pedometer. The best application, Step Counter-Pedometer ever! It's not only a walking application, Step Counter-Pedometer, but also a walk manager.